Sarah-Jane Morris is Britain's most influential jazz and R&B singer. Morris's magnificent soul voice and emotional power has garnered praise and admiration worldwide for over 30 years. Inspired by the unwavering belief in the power of song to change hearts and minds, Sarah Jane has always followed her own star. That independence has brought her a loyal audience, devoted to her feisty, independent musical style. 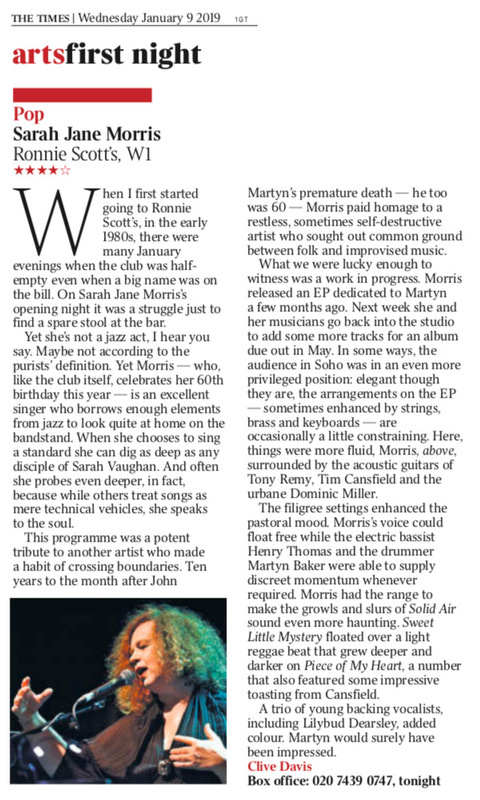 John Martyn was a sublime genius, and an innovative musical talent who sadly died at 60. He produced a canon of music that is both breathtakingly bold and achingly tender in its complex, atmospheric beauty. John Martyn's music influenced a generation of his peers, friends and fans alike. His contribution continues to resonate many years after his passing. He has picked up endless acclaim worldwide from those fortunate enough to be seduced by his unique voice and instrumental mastery; and his music will live forever in the annals of popular music history. 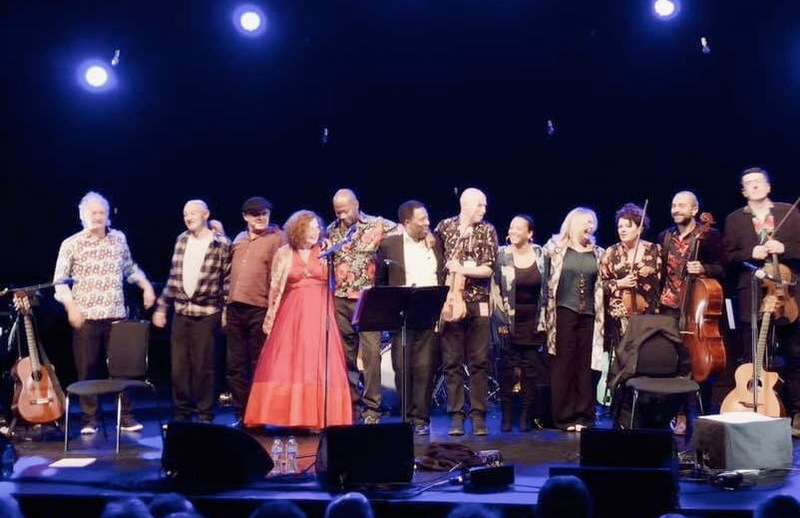 Sarah Jane Morris, through her own brilliant interpretive vocal talents, has picked up this torch to shine a light on this great musical maverick, illuminating his life's work, in her inspirational new show for 2019. She is collaborating with activist/journalist/comedian/writer/director Mark Thomas and filmmaker Rod Morris. Sarah Jane will be accompanied by her regular collaborators, Tony Remy, Tim Cansfield, Martyn Barker and Henry Thomas, and special guests for some venues. The show goes into development early 2019. Please check the check the website for updates. Picture above is from the The Purcell Room, Southbank, for the London Jazz Festival on 24th November 2018.